Cheesy and creamy, a new way to do the classic! 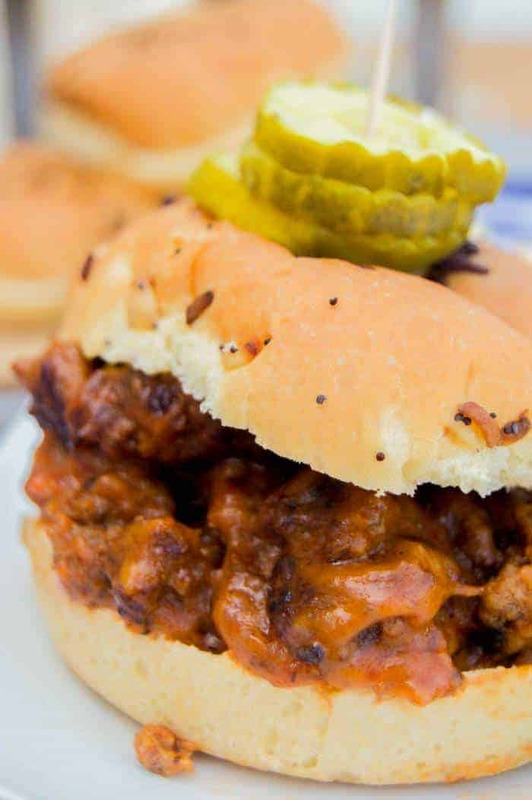 These Bacon Cheeseburger Sloppy Joes will have you drooling with all the bacon and cheesy flavors inside. Start by browning your ground beef in a large skillet. Cook until beef has cooked through, drain fat, and return to stove top. Add bacon, onion, ketchup, mustard, Worcestershire sauce, salt, and pepper. Cook together for 3-4 minutes then add in beef broth cornstarch. Allow cooking while you stir until it has thickened. Last, add in shredded cheddar cheese and stir until cheese is melted and well combined. 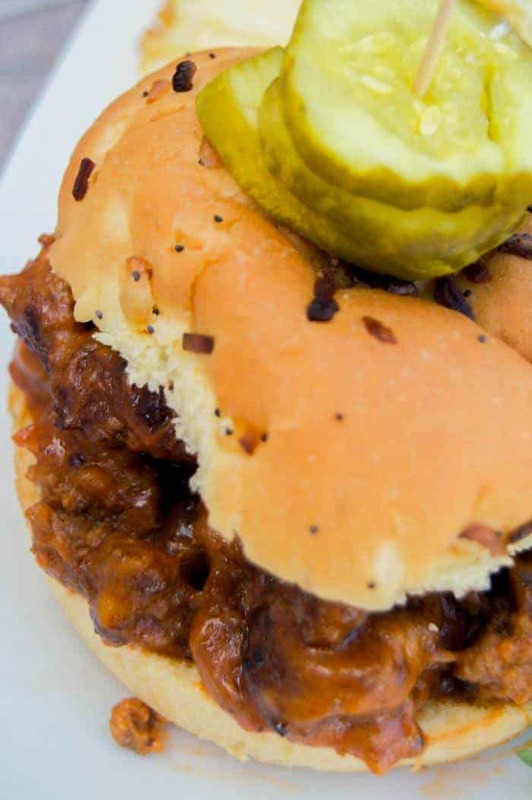 Serve on buns and topped with pickles! Ground turkey is a great sub for this recipe. No other changes would need to be made just switch 1 pound of ground turkey for the 1 pound of ground beef. Meatloaf Recipe: This Meatloaf Recipe is a classic. Made with lean ground beef it’s full of flavor and perfectly moist, I topped it all off with a brown sugar glaze. Meatloaf Italian Sliders: The BEST meatball placed between bread. I topped it with Mariana sauce, cheese, and then baked. These Meatball Italian Sliders are perfect for a quick dinner or fun appetizer. Start by browning your ground beef in a large skillet. Cook until beef has cooked through, drain fat, and return to stove top. Add bacon, onion, ketchup, mustard, Worcestershire sauce, salt, and pepper. Cook together for 3-4 minutes then add in beef broth an cornstarch. Allow to cook while you stir until it has thickened. Last add in shredded cheddar cheese and stir until cheese is melted and well combined. 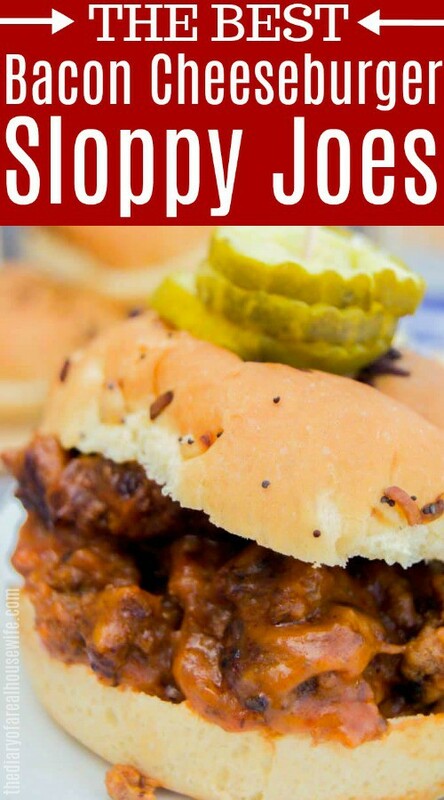 Serve on buns and topped with pickles!